Asda is obviously known for its groceries, but they are also very good when it comes to selling branded product names such as Samsung, Russell Hobbs, LG and Phillips plus many more. But what is more interesting each year is if they are going to take part in the Black Friday and Cyber Monday sales. The supermarket store and online website also offers mobile phones / plans as well as financial services, but huge discounts are going to be in the technology, toys and other mainstream categories. If you wish to connect with Asda on Black Friday or Cyber Monday for super low prices please click on the relevant links on this page. Black Friday UK readers and of course us will be listing many offers when they become available. When Live: Just so you know Asda do not normally take part in Black Friday. But they do sell items very cheaply and we recommend you visiting the official Asda website or visiting in-store for other deals. During the Black Friday Event in November they do not take part in the sale itself but they do other offers such as 3 for 2 and huge rollback offers. Asda do not seem to have many great deals on at the moment, well they have but not anything special in major price cuts… Roll on Black Friday sale event is all I say. Such a shame they are not taking part, all the other big boys are. Asda will not be taking part in the official Black Friday sale but they are going to be having a big sale – its just not called Black Friday. The Asda Baby Event is on now i think, Asda will never be a part of the Black Friday sales…. Like 2016 ASDA is not expected to take part in the BF sale, but is there any chance they will have some sort of sale on? if you shop online or in store with Asda you will see that the Baby Event has started and prices have been mega reduced. Just so everyone knows, the Asda Baby & Toddler Sale Event is on right now. There are so many great deals on clothes, monitors and nappies etc. This is fantastic, Asda is offering its online customers 3 toys for £20 at the moment. They hvae 30 items to choose from such as the Mini Roboraptor and the Little Tikes Fun Farm Animals etc. Asda online are holding an up to half price sale on womens, mens, kids an baby clothing, plus other stuff too. So stupid for Asda not to take part in any of the sales that are huge. Madness, November is a big year and its successful for many other big stores like Tesco. I am guessing that because Asda did not take part in Black Friday they will not be taking part in the Cyber Monday sale? Asda currently have a half price toy sale for 3 week started last week. 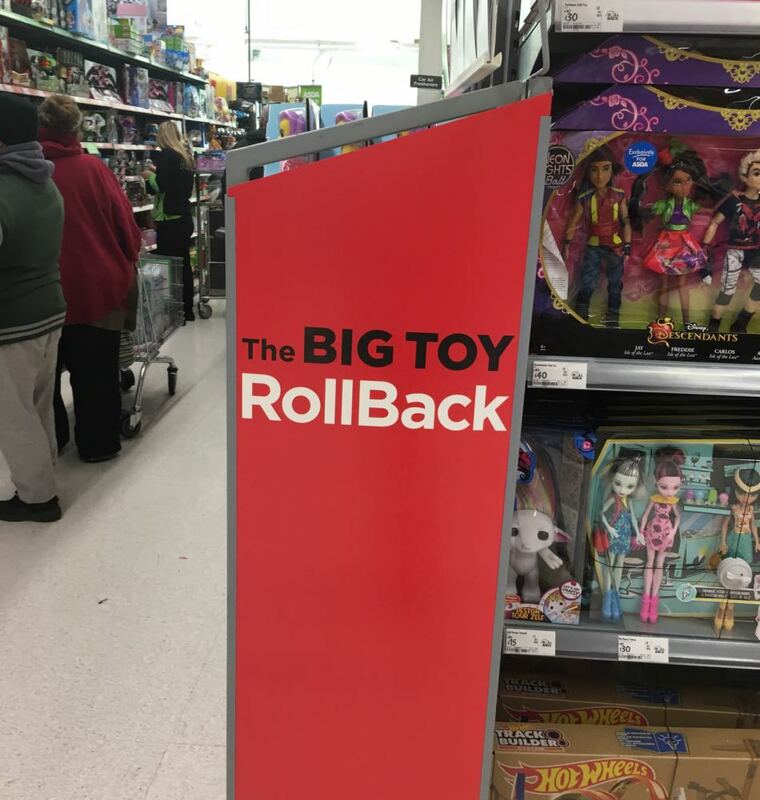 When will Asda be doing a massive toy sale? This would be good seeing as they are not doing the Black Friday 2016 event, someone did mention that they are doing just before, is this true? Just had confirmation from our friends here > goo.gl/32mONy that Asda will NOT be taking part in the 2016 Black Friday sale. OK so then do online black friday only or some really good Asda 24 hour flash sale instead of in-store. Well that’s crap, surely after a few years they could at least get security into place to make sure things run smoothly unlike the 2014 fiasco. It is looking like Asda will not be taking part in the 2016 Black Friday UK sale. I phoned a store and they said they will be having deals on but not part pf Black Friday. Save £15 on the Vtech Toot-Toot Animals Farm, the price is now only £25 via George online. Also, if you spend £50 or will save a further £10. Wow, i just got the Maternity Stripe Dress from Asda online for only £8 down from £14. The Asda Baby & Toddler event is now on. You can save plenty on many products such as clothing, feeding, bedding and much more. Such as the tommee tippee explora Baby Food Blender for only £10 reduced from £19.97. That is a great deal going on over on Asda for Coca-Cola, I will be buying plenty of this for our family Christmas meal, great for the kids to keep them active all day and for us adults to mix with our adult drinks. The Debenhams sale is now on where you can get 10% off fragrance as well as up to half price off gifts, toys and games. Say hello to the Asda 10 Day Christmas Giveaway where you will see 10 panels with the first being revealed. I went onto the Asda homepage and saw this, but when i click on the first panel which was revealed yesterday it says i missed that one – what was the gift please? Asda Home online exclusive, get 20% off selected indoor furniture when you apple the promo code 20FURN. Exclusive to Asda is the Disney Frozen Anna and Elsa Snow Glow dolls. Yes 2 in a pack for £40 reduced from £70. Asda have the Barbie Malibu House for only £50, which is a cool saving considering it was marked up at £99.97. I am so frustrated they are not doing Black Friday, they could have just done an online version rather than in store because they cannot cope with the rush. The Big Brand Toy sale is still on with Asda and i have just see they have the LEGO Star Wars Advent Calendar – 75097 for only £21. What a cheap cop out, talk about scared of last year. Learn by it fight it and better yourselves. Are you serious, I was expecting to get some really good deals this year and thought they would have learned their mistakes last year and upped its security and dealt with it better. Asda Black Friday Sale Event is still on, I believe they are giving out tickets for those wanting to shop in store on November 27th. I heard the same Mick, i think they will only be doing weekend deals and not Black Friday. Asda are not going to do Black Friday this year. I am confused, because some are saying stores will open at midnight come Black Friday and others are saying 8am on the day. Now I am hearing 6am, can you help please anyone? I will stay online this year with Asda, not a chance i am going near a store to get into a ruck. Is it true that Asda Black Friday sales start in-store from 8am? I have this feeling that Asda will be totally prepared this year for Black Friday doors opening, last year was a shambles to be fair. Doing tickets seems to be the rumour at the moment. Is it true that Asda is going to do tickets for people to enter its store on Black Friday 2015? Best place in the UK for Black Friday was Asda last year, can’t wait to see what they do next month. Just looking for leaks of the deals at the moment. If you are waiting for the Asda Black Friday deals to start check out this one where you can buy the London Chic Stripe Maxi Dress for only £10 instead of the normal £16. When is the next Asda baby Event for 2015? Would really like to know as I know it is comm=ing soon and before Black Friday. whilst you sit and wait for Asda Black Friday you might want to check out its Monster High Wolf Gift Box for only £20 instead of the original £60. I am so hoping they have more big LED TVs this year, but they need to have one per customer and only let a certain amount in the store at one time. First come first serve and adults yes ADULTS should be mature about this. Hopefully Asda will have everything in order this year, especially with security. I remember being in Wembley and having to fight my way out of the store when people were having a scuffle over TVs.